Pediatric Hospitalists at Peyton Manning Children’s Hospital at St.Vincent Indianapolis are board-certified pediatricians trained in hospital medicine. The Hospitalist is at the center of your child’s care and communicates 1-1 with each child’s family, primary doctor, specialists, and all team members. We focus on personalized treatment of the whole child. The difference is in our approach. 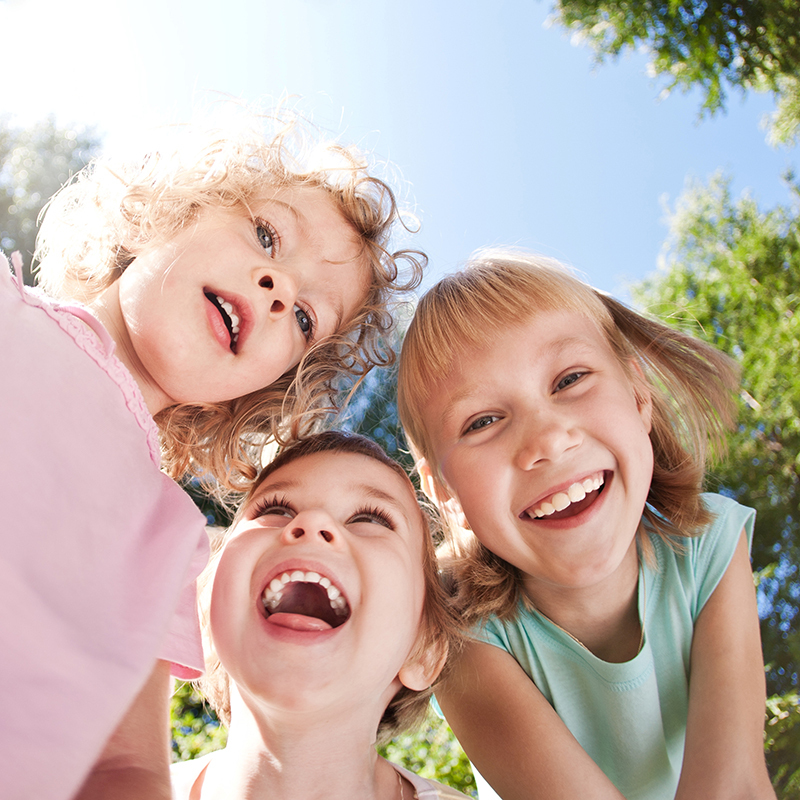 We are pediatricians trained to triage all the pediatric medicine needs and coordinate hospital care across more than 40 pediatric specialties and departments. At this moment, does your child need to be in the hospital? 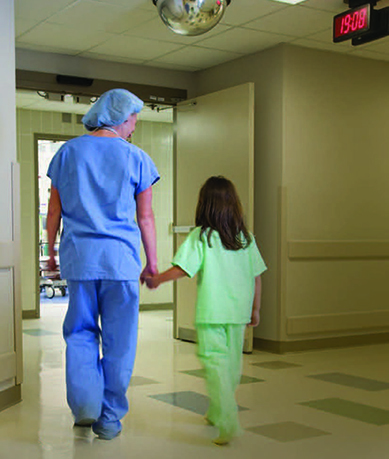 Does your family need help navigating next steps from the ER, Surgery or even the PICU to the Pediatric Hospital Unit? Can Child Life Services help this child become less anxious about testing and more engaged in the healing process? At Peyton Manning Children’s Hospital there is no such thing as a universal admission to the hospital. 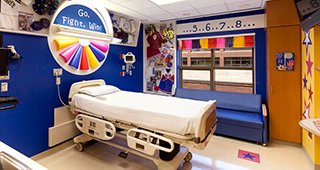 Every child receives personalized care and will be placed in the Pediatric ICU (PICU), on a Pediatric Unit, or the short stay unit depending on the needs of the patient. For more information about the PICU click here. 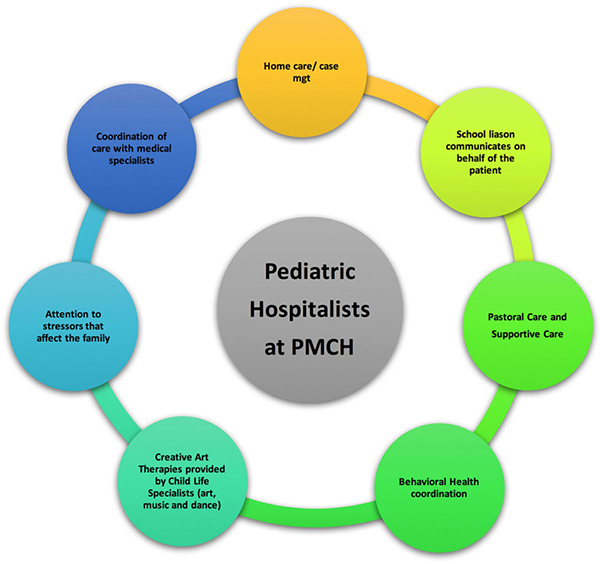 In some cases, PMCH Pediatric sub-specialists may do direct admissions (for example, oncologists or endocrinologists, in coordination with the Hospitalists). “One Call” transfers by a patient’s primary care provider for admission to the Pediatric Unit are also coordinated by the PMCH Hospitalists. The nurses may train family members and key caregivers in how to do CPR properly (especially for children with complex and chronic health concerns). Coordinate care at the point of discharge with your primary care doctor’s office (this includes follow-up labs and medical imaging tests). After you leave the hospital, there may be pending results; these results are closely followed by the Hospitalist nurse and communicated with the primary care physician. Discharge summaries and procedure results are also given to the PCP for reference during follow up. Once home, your child’s primary care doctor will be the best option for answering your questions about your child’s ongoing health needs. 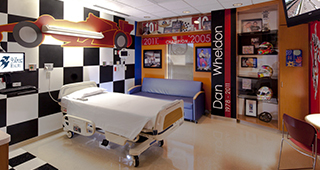 Every child admitted to Peyton Manning Children’s Hospital has his or her own private room. Many of the rooms are decorated with a variety of themes, for example, the No. 18 room for Peyton, the Indy Racing room, horseback riding room. A Child Life activity playroom, outside playground on the hospital roof and dedicated family lounge is located on this unit.